*This is not a financial advisory class. Hands-on guided session in opening up your own digital wallet and exchange account. There will be a bonus airdrop of Ethereum! Sharing of access to useful resources & crypto-communities. Don't miss out on this global phenomenon! 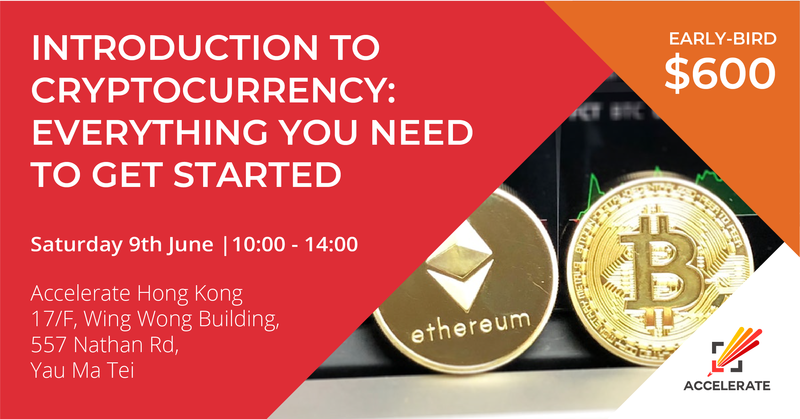 - After the masterclass, students will automatically be invited to our blockchain community group of 230++ people in HK & SG. We share price alerts, blockchain news, and ICOs private sales bonus opportunity. We also do Meetup for ICOs evaluation, watch documentaries/devcon etc. - Given access to our Crypto-Bible, an open-source public drive of decks from talks, top exchanges, ICO rating sites, influencers channels etc. - Bonus Airdrop of Ethereum! Digital marketer by day, blockchain evangelist 24/7. 4 years of digital marketing experience advertising for international clients, trained in Google & Facebook HQ. Founded her interest in blockchain since attended multiple tech conference. Started a blockchain community since Nov 2017 and grew the community to a strength of 230++ from across the globe.